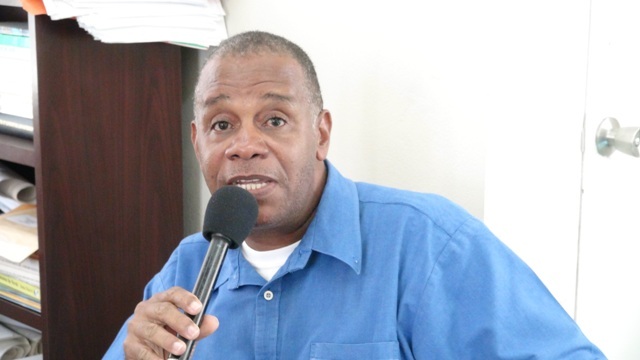 NIA CHARLESTOWN (OCTOBER 13, 2015) — Minister of Fisheries in the Nevis Island Administration (NIA) Hon. 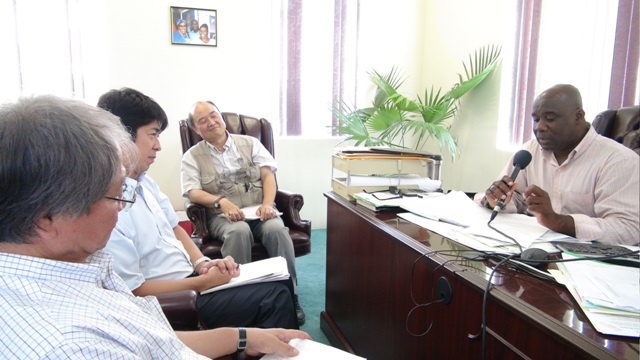 Alexis Jeffers, met with a group of consultants from the Japanese International Cooperation Agency (JICA) headquarters in Japan and ECHO Corporation, on October 06, 2015, who are on the island for one week to commence work on a feasibility study for the proposed construction of a Community Fisheries Centre at Bath Village. Their visit to Nevis came on the heels of the recent signing of an agreement between the NIA and JICA, to amend the grant agreement for the project for development of a Community Fisheries Centre in Charlestown to extend the life of the project. The visiting team of consultants involved in the preliminary study were Senior Advisor (Civil Engineering) Shinji Sakurai Advisor, Grant Aid Project Management Division 3, Financial Cooperation Implementation Department Hiroyuki Tanaka from JICA and Senior General Manager and Senior Civil Engineer of ECHO Corporation Hitoshi Takemoto. Meanwhile, the Permanent Secretary in the Ministry of Fisheries Eric Evelyn who was also present at the meeting, expressed hope that the feasibility study would lead to the construction of the fisheries facility which he said would benefit the people of Nevis and was long overdue. He explained that while on Nevis the team was expected to meet with the relevant stakeholders in the Ministry of Agriculture, the Ministry of Finance and the Ministry of Tourism. They also met with some Fishers.